It's a chilly fall day and all I want is a warm, supple soup. I made the mistake of wearing my summer beach sandals while riding to volleyball today; I have no idea what I was thinking. It's 40-some degrees out and my feet turned bright pink; un-feel-able flippers at the end of my stems. Dumbass. Heading to the pantry to see what kind of ingredients I had to play with, I found dried yellow split peas just sitting there waiting for a reason to bust into hearty, tender little morsels. 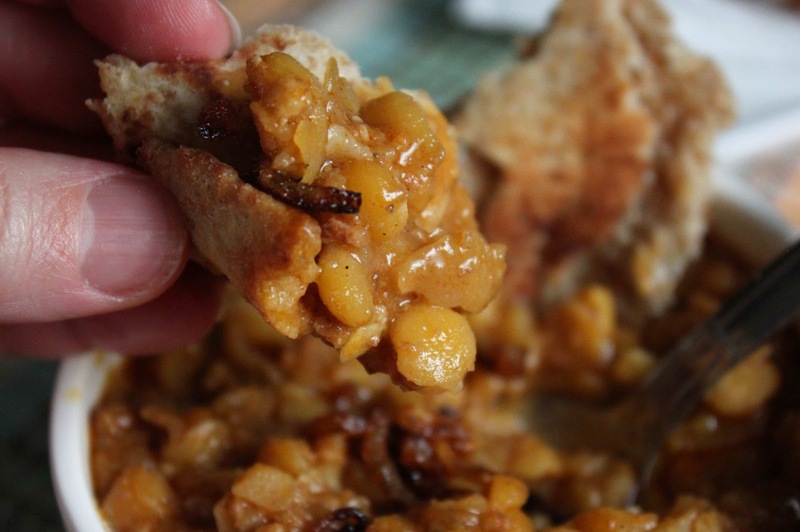 Is there a difference between the yellow and the green split pea? The yellow ones appear to have a slightly milder taste than the green, but they are both packed with fiber and protein while being low calorie. Pther than the color, they look pretty much the same...split. Plus we all know, Green is for ham! Next time you make the mistake of freezing the tootsies when you're not willing to admit winter is coming, make this soup. It will keep you full, warm, fat and happy. 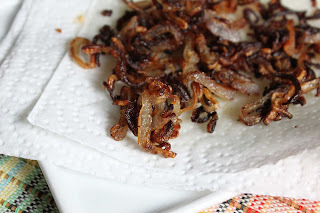 Tips and techniques: Do crisp the shallots, it completely brings all the flavors together; I wouldn't serve this without them. Naan bread was an outstanding accompaniment to the chorizo and pea soup since the soup was thick enough to scoop it up with the bread (Indian or Ethiopian style). Saute the onions in the olive oil until they are softened and caramelized. Add in the garlic cloves and the chorizo, cook for about 5 minutes. Add in the spit peas and simmer for a few minutes to help sear the peas. Now add in the broth and the wine. Cook, covered, until desired tenderness is reached, about 1 hour. Add more water if you need want a runnier soup. Salt and pepper to taste. 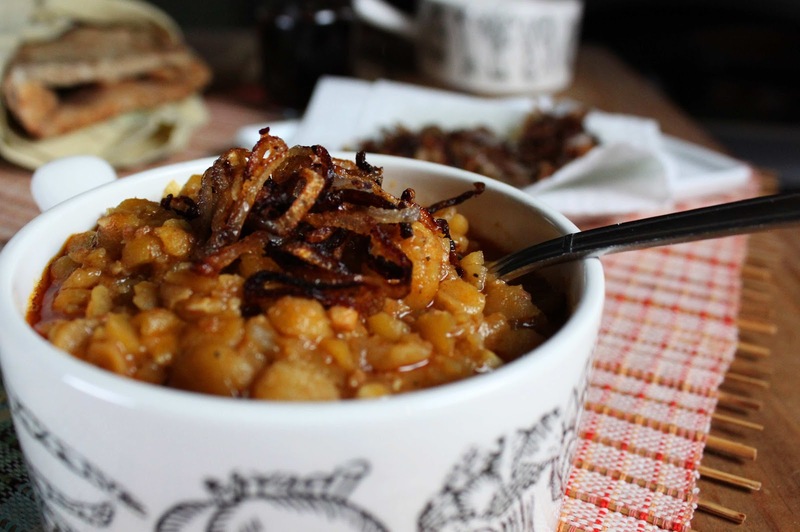 Top with crispy shallots and serve with warm naan bread. Thinly slice the shallots, Heat the oil first, then add the shallots. Cook until the shallots become brown and crispy, watch them closely as they can burn quickly. Place on a paper towel to soak up an remaining oil until ready to use. Top the pea soup just before serving.